Adam Savage will return to television as host and executive producer of MythBusters Jr., when the new Science Channel series premieres on Wednesday, January 2 at 9 p.m. ET/PT. For the ten-episode series Savage has teamed-up with six of the nation’s leading young ‘makers’, robotics wizzes, builders, and inventors, all under the age of 16, who show off their amazing ingenuity and STEAM (Science, Technology, Engineering, Arts, and Math) skills. Together, they tackle myths just like those seen in the popular Emmy® nominated television series MythBusters, ranging from driving, explosions, movies, popular culture and more. From building a fire extinguisher jetpack, to dominos big enough to crush a car, and testing myths from the Oscar®-winning big screen pic Gravity and TV’s Breaking Bad, it’s an action-packed season. The series premiere episode features a MythBusters classic, the amazingly versatile material, Duct Tape. The junior MythBusters explore whether you can really make a functioning, life-saving parachute out of Duct Tape (see ‘Buster’ get dropped from extreme heights!) and whether you can make a serviceable car tire from Duct Tape. The junior MythBusters are: Valerie Castillo (15), a skilled builder and robotics wiz from Lancaster, California; Elijah Horland (12), a self-taught electronics maker, programmer & circuit wiz from Brooklyn, New York; Cannan Huey-You (12) a college sophomore studying astrophysics at Texas Christian University; Jesse Lawless (15) a builder of custom hot rods from Slidell, Louisiana; Rachel Pizzolato (14) a three-time New Orleans Science Fair champion from Metairie, Louisiana; Allie Weber (13) a maker, builder, and inventor from South Dakota. Also featured in MythBusters Jr. are design and engineering experts Tamara Robertson, whose talents have been seen in MythBusters: The Search and SciJinks, and Jon Marcu, a top special effects technician who has worked on numerous of television and film productions. MythBusters Jr. is produced for Science Channel by Beyond Productions. John Luscombe and John Tessier are executive producers for Beyond. Wyatt Channell serves as executive producer for Science Channel. Science Channel, a multi-media business unit of Discovery, Inc. is the home of all things science around the clock, including series such as MYTHBUSTERS, OUTRAGEOUS ACTS OF SCIENCE, WHAT ON EARTH?, HOW THE UNIVERSE WORKS, UNEARTHED, and MYSTERIES OF THE ABANDONED. Science Channel’s programming also includes timely, expert-driven specials covering breaking science news and discoveries. 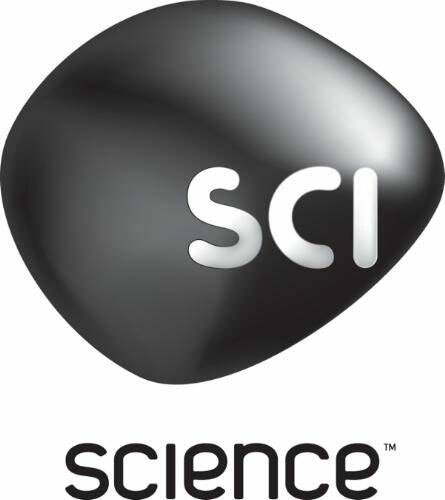 Science Channel is the premiere TV, digital and social community for those with a passion for science, space, technology, archeology, and engineering, providing immersive, engaging, high-quality entertainment across all Science Channel assets including: Science Channel television network, available in more than 63 million homes in the U.S; complimentary Video On Demand offering; SCI Go app allowing viewers to catch up on full episodes of their favorite shows anytime; deep video, interactive storytelling and virtual reality at www.sciencechannel.com; and conversations on Science Channel’s popular social platforms including Facebook, Twitter, Instagram and Snapchat via @ScienceChannel.